…..and I didn’t even know!!! Apparently at 2.29am this morning, we had a minor earthquake, registering 4.1 on the Richter scale, south-west of Bowen. Friends said they felt their bed move and the sound of a rumble, doors and windows rattle and dogs bark…..but me…..I slept on, oblivious to the phenomenon!!! All’s well though….no damage….and my puppy slept on, just like me! another surprise awaited me in the hall…..
Yes….it is a snake…..they’re on the move now that the weather is warming up and I think I’m going to have to dispose of that welcome mat….because THEY’RE NOT welcome!!!! Thank goodness for paint tins and mops is all I can say! Once he knew I was on the warpath, he slithered down the hallway into my DS’s room and behind the bookcase and, I don’t care what anyone says, I was not leaving it there!! !…..out came the bookcase, and I know wildlife people would be cringing but not as much as me, as I ‘gently persuaded’ him out with the mop and ‘slowed him down’ with the paint tin! I know what you’re thinking….he’s not THAT big….well, no…. What crafty things have I been up to??? I’ve finished the last two ‘Snowhearts” blocks and I’m waiting for the final instructions for piecing the blocks. You can still download them here if you’ve missed them, or click on the link on my sidebar. I’m working on my Birdie Stitches and I’m up to here…. Still quite a few blocks to catch up, but I’m waiting for some DMC’s to arrive…..using six strands at a time eats them up…..although it does look great! And do you remember this flimsy? Well, I’ve stitched the black block in the top middle with this…. And I thought I’d share this yummy recipe with you. Sooooo easy, and soooooo delish! Grease 19cm x 30cm lamington tin, line base and sides with greaseproof paper, extending paper 2 cm above the sides of pan. Combine coconut, sugar and flour in large bowl. Add butter and essence. Mix to combine. Press over base. Cook in moderate oven (180 degrees C ) for 20 mins. Cool completely. Pineapple topping: place ingredients in saucepan. Whisk until combined. Cook, stirring over medium heat until mixture boils and thickens. Pour mix over cooled base in pan. Spread evenly. Refrigerate until set. Beat cream in small bowl until firm peaks form. Lift slice from pan. Spread with cream. Cut into squares to serve. 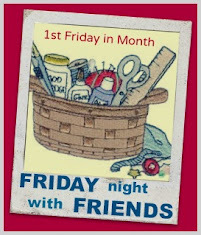 I’ll need to take some with me tomorrow to our quilting guild’s special visit from Pauline Rodgers, the Gadget Queen! I’m looking forward to learning some new tricks! Ohh what sort of snake was it. I have started seeing them down south here too, we are having very warm weather for September. I had an incident with a snake in my Laundry once and the only option was to kill it. Needless to say when I blogged it I got a few comments but people don't seem to understand that we live hours from the nearest town and sometimes there is just nothing else to be done, we don't kill them if they are outside. thanks for the recipe too, it will come in handy for lunch boxes during harvesting. An earthquake you can sleep thru - that is fine with me - a snake of any size - that is not!